Buddy Guy’s legend as a guitar virtuoso and influencer became well known in the 1980s as artists came out and listed him as a major influence to their own success. One of the last remaining Chicago blues greats and one of the godfathers of rock music as we know it today, don’t miss your chance to see this living legend when he comes to State Theatre New Jersey on August 17. Born George Guy on July 30, 1936, Buddy taught himself to play at an early age on a guitar he made from wire and leftover cans. It wasn’t until he was 19 when he purchased his first guitar with the money he made as a janitor at Louisiana State University. His first gig was playing guitar in John Tilley’s band in Baton Rouge, Louisiana. In the early 1940’s, the blues were moving away from the cities of the south and into northern industrial cities, especially St. Louis and Chicago. Chicago pioneered its own type of the blues which had heavy emphasis on electric guitars and harmonica, usually played through an amplifier. Chicago blues record labels began to shoot up and became increasingly popular throughout the 50s. Labels like Chess Records and Alligator Records made stars out of musicians such as Bo Diddley, Muddy Waters, Hound Dog Taylor, and of course, Buddy Guy. As these labels made a name for themselves, the records they produced made their way all around the United States and the world but something happened when it hit the United Kingdom. The electric Chicago blues was a revolution in England. Chess Records recordings found their way into the hands of young Brits like Jimmy Page, Eric Clapton, and Keith Richards and the rest is rock history. Being influenced by this new form of blues, bands began to pop up everywhere, rooted in the classic Chicago blues style. Bands like Led Zeppelin and The Rolling Stones rose to international fame because of their own personal spin on the blues and what it eventually evolved into; rock ‘n’ roll. The rise of new music forms like disco, metal, and progressive rock pushed the blues off the radio in the early 1970’s. It wasn’t until the 80’s, and a Texas man named Stevie Ray Vaughan, when the blues came back into the limelight of the music world. After his debut record Texas Flood in 1982, the public was hooked on blues once again. While on tour with Eric Clapton in 1990, Vaughan lost his life in a helicopter crash. The blues resurgence introduced younger generations to the major influences of Buddy Guy and other blues legends. Once again, Buddy Guy’s career took off and after signing to Silvertone Records in 1991, he released one of his most popular albums to date, Damn Right, I’ve Got the Blues. 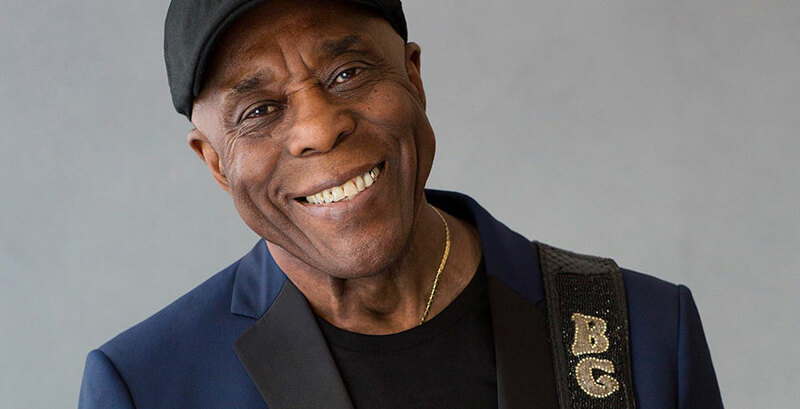 Buddy Guy is consistently praised as one of the best guitar players ever by media outlets and artists alike so don’t miss out on a chance to see this blues legend live, as he performs and shares his story at the legendary State Theatre New Jersey on Thursday, August 17, 2017 at 8pm.